In 2012 the village came together to organise a community event to celebrate the Queen's Diamond Jubilee. In spite of the appalling weather, hundreds of people turned out for a day of fun and frolics, which many felt should be repeated on an annual basis. We already had a successful annual Church Fete, but the members of the Church community agreed to combine this with a grander event, with the Church still at the heart of it. 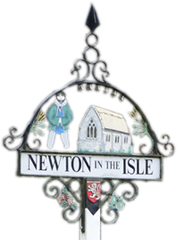 The Newton Village Fete Committee was established in early 2013 to bring together the organisations and individuals interested in arranging and participating in an annual summer fete in the Playing Field. It originally comprised one representative from each of the organisations in the village and a small number of independent individuals with relevant skills or knowledge. In just four months, the Fete Committee created a truly memorable event and even managed to arrange a whole day of sunshine too. Plans are already in hand for 2014, which we hope will be bigger and better than ever.